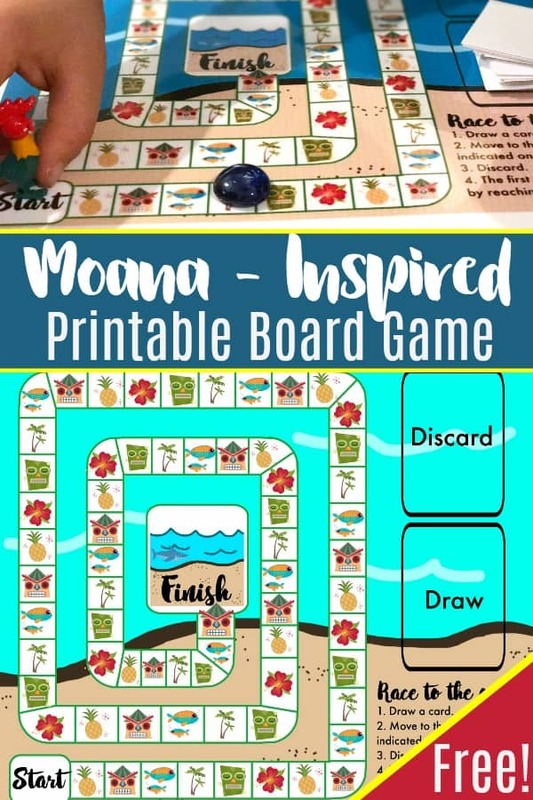 Moana is such a fun movie for kids. 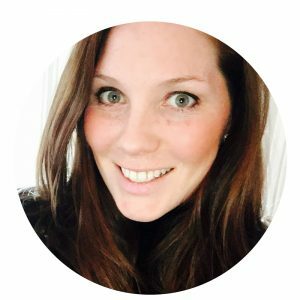 I love that an empowered young woman goes after her dreams and goals, and my 4 year old loves it to. 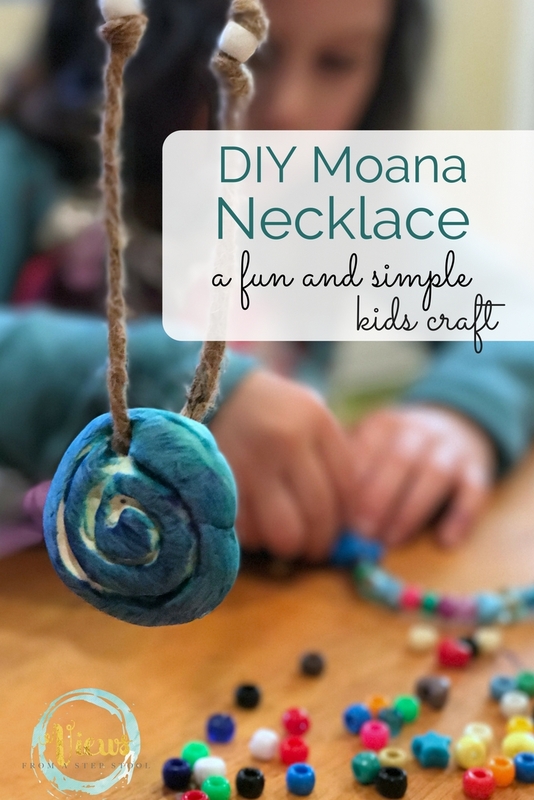 We made a Moana necklace for dress-up play, some Moana ocean slime, and had a Moana birthday party! 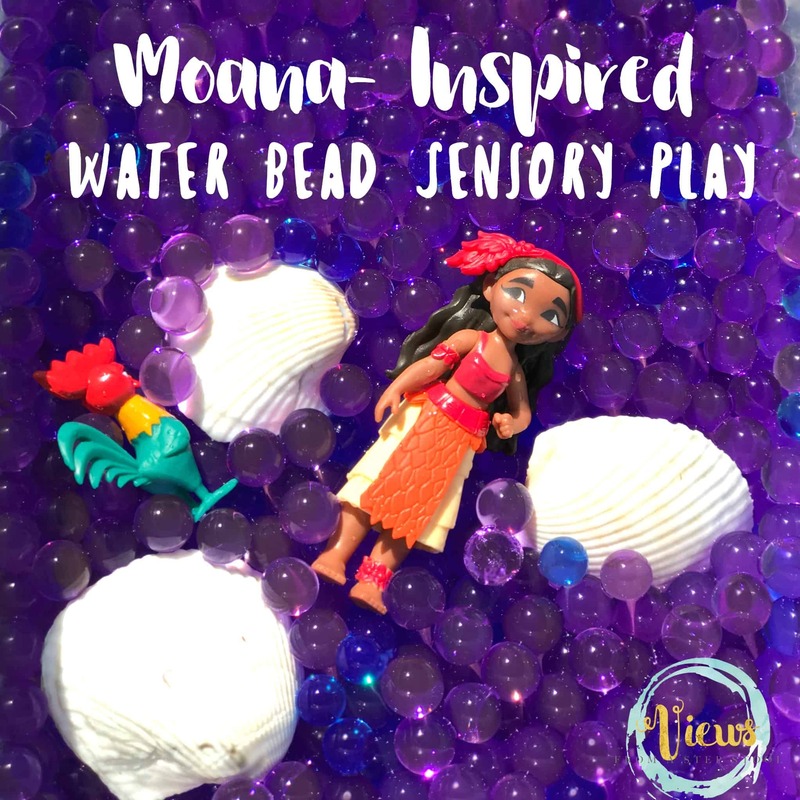 This water bead sensory play was just another fun way to use our Moana toys for some pretend play. 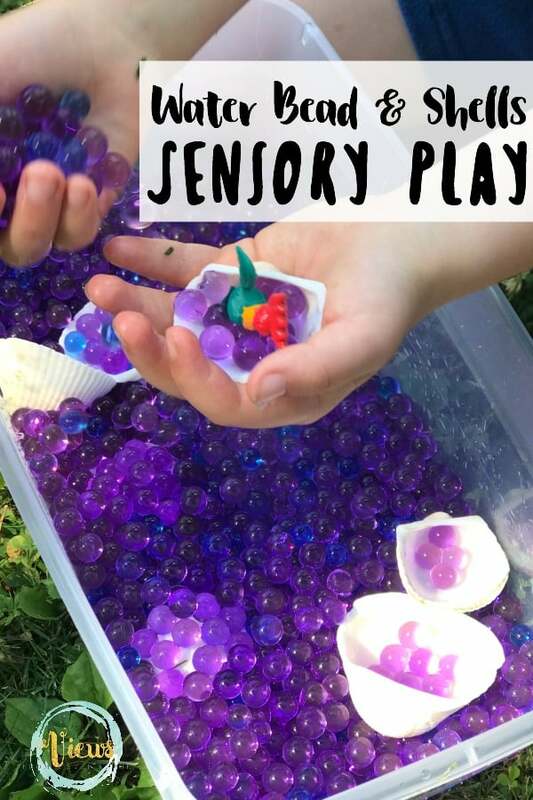 Water beads are really fun for sensory play at home (best if used with kids who no longer put items in their mouths, check out our edible water bead play for younger ones). 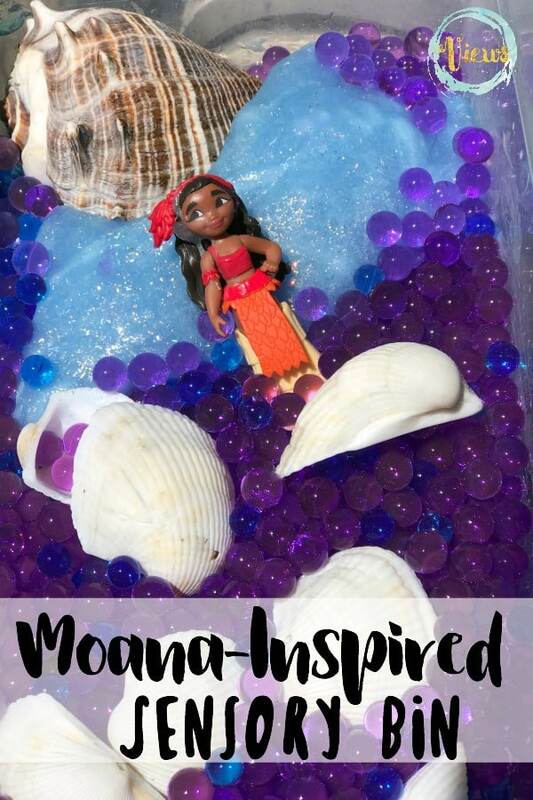 They can be found in floral departments of craft stores, or you can stock up on Amazon (which is what I do!). 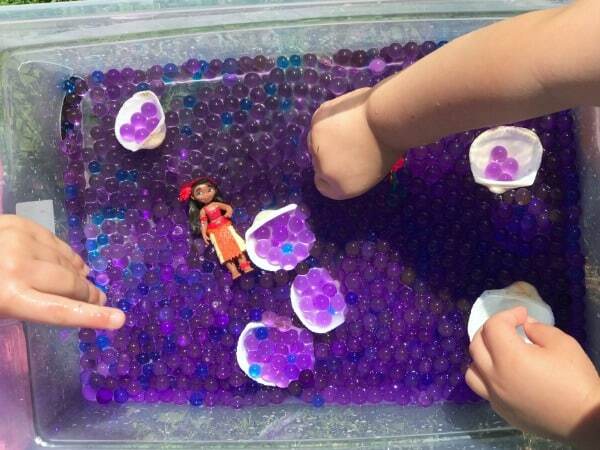 Make your water beads according to package directions. 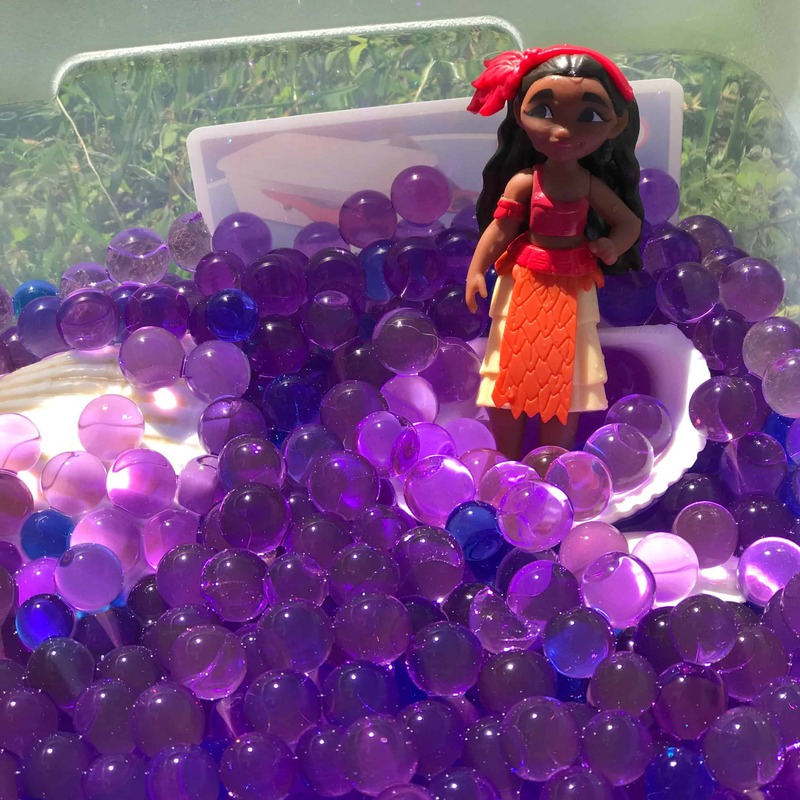 You have to soak them in water for a few hours or overnight. 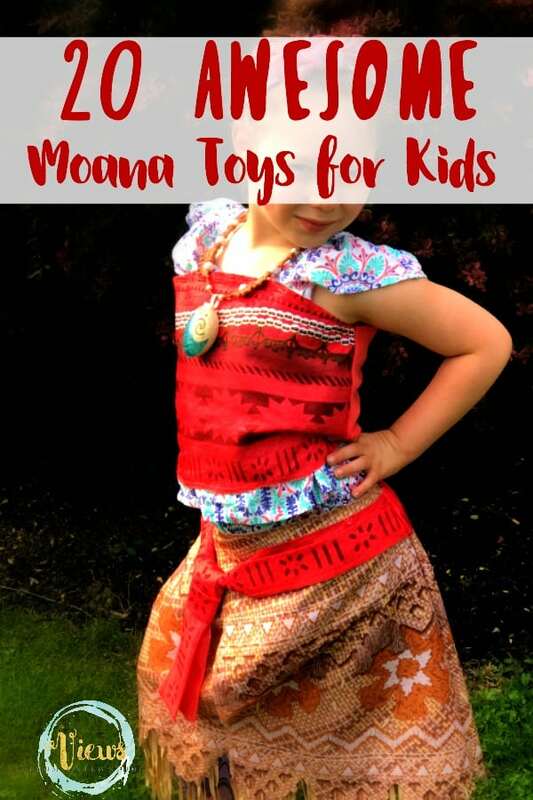 This is actually a really fun process for kids even though it requires a bit of patience. 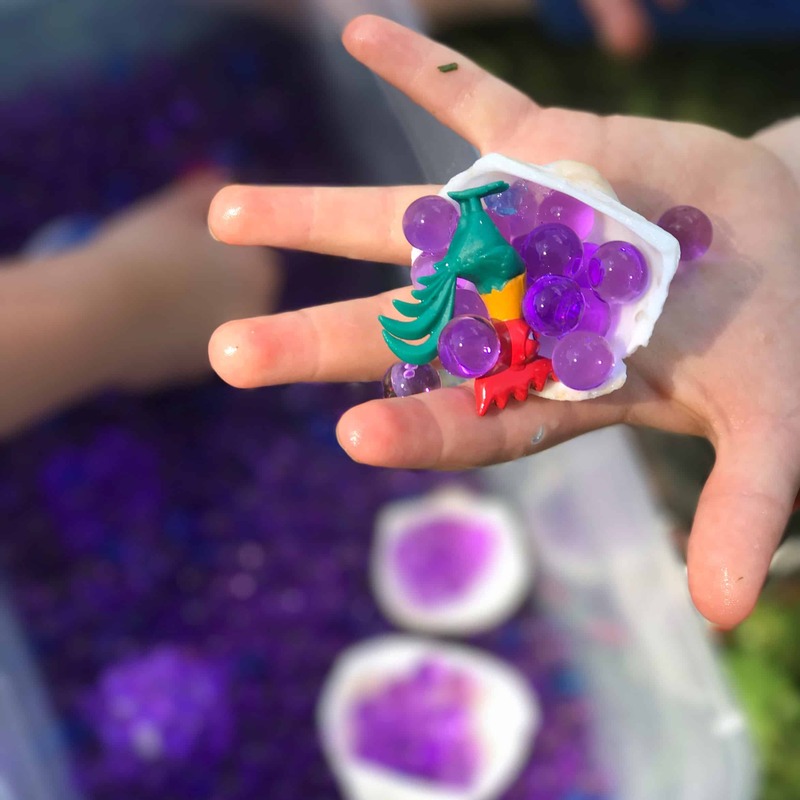 They love to check on them and watch as they magically grow! 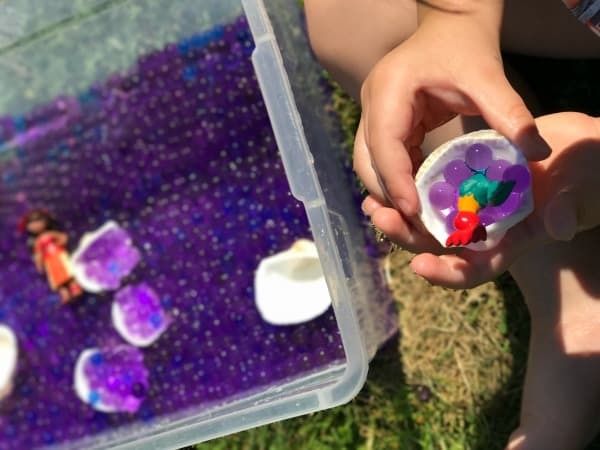 Once your water beads are ready for play, drain them from the water and place them in a plastic bin (we like to use tupperware containers for this kind of play, perfect for containing the materials but they provide enough room for scooping and pouring, which is actually fantastic learning! 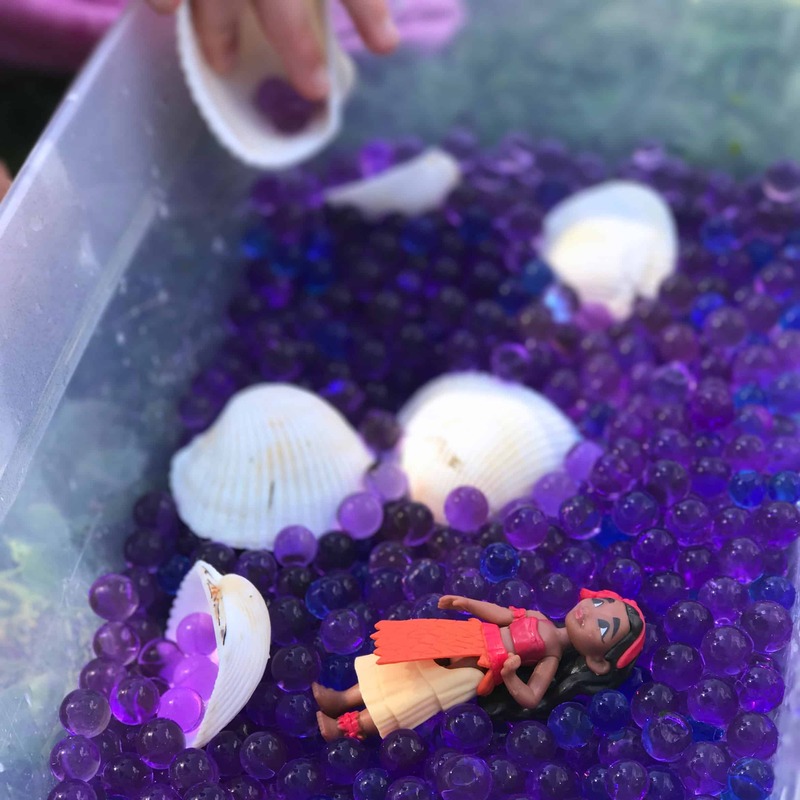 To the water bead bin, add some different sized shells, some small Moana toys and some tools for scooping! 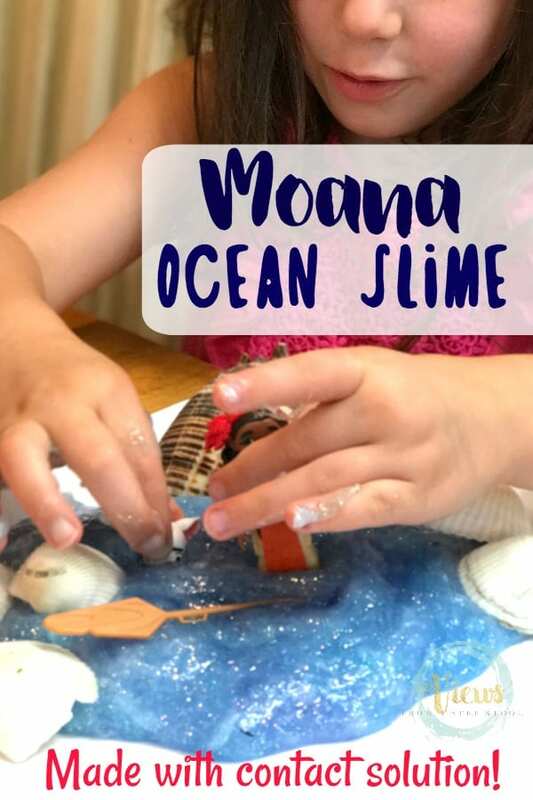 We added our Moana ocean slime to the bin which made for a really fun extra sensory element! 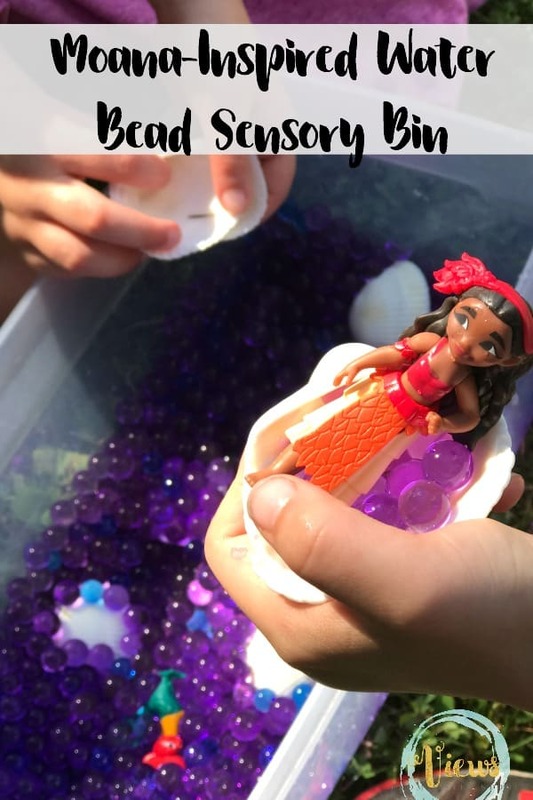 Have so much fun with this water bead sensory play!